At sales-i, we’re always on the lookout to support good causes and incredible people. So, when our CEO Paul, heard about Virginia York’s selfless ‘Brave the Shave’ campaign for Macmillan, he was more than happy to donate £200 to such a worthwhile cause. On 9th September, Virginia selflessly shaved her hair off with the aim of raising £1000 to support people living with cancer. sales-i echoes Virginia’s words. It is estimated that 1 in 3 people will develop cancer, which is a pretty terrifying thought really. The work that Macmillan do is absolutely invaluable. They can provide vital information and advice to patients and their families, help with financial issues, and provide the support needed to help people during a tough time in their lives. 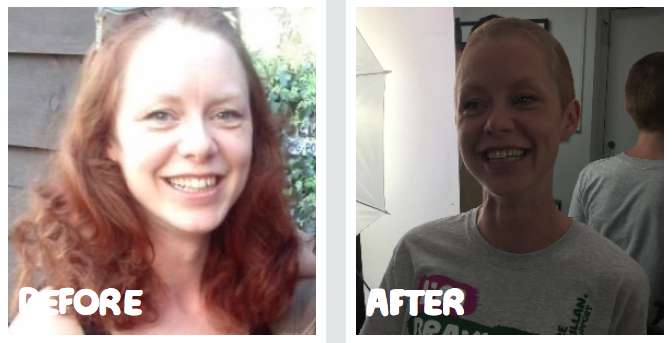 Virginia, everyone here at sales-i salutes you for completing ‘Brave the Shave’ and smashing your £1000 target! To support Virginia’s selfless act, you can donate via her fundraising page here.